If you think Rainbow Six Siege looks cool—and if you don't, Shaun's excellent “Why I Love” column on the sweet stress of waiting may change your mind—but don't want to drop $50 just to give it a try, the new, PC-exclusive Rainbow Six Siege Starter Edition might be just what you're after. It's available now on Steamfor $15/£12, and includes all of the maps, modes, weapons, and other features from the standard edition, with no restrictions or time limits. The only difference between the Starter and Standard Editions is in how the Operators are unlocked. 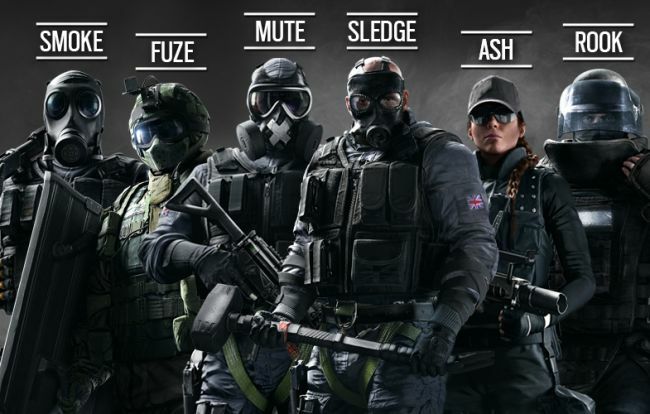 The Starter Edition will include just two Operators instead of the usual 20, randomly chosen from a pool of six of the game's most “intuitive” for newcomers: Rook, Sledge, Ash, Fuze, Mute, and Smoke. Additional Operators can be unlocked for 12,500 renown each (a much higher rate than the Standard Edition) or purchased outright with a $35 R6 Credits bundle. The Starter Edition also comes with 600 R6 Credits that can be used to unlock two more Operators of your choice (from the pool of six) or on other stuff if you prefer, and it works with the Rainbow Six Siege season pass, which gives access to eight post-release Operators that will be added over the course of the year. So it's Rainbow Six Siege with fewer guys and more grinding, then, although if you'd like a more specific breakdown of what's what, a Starter Edition FAQ is available here. There is one other point to be aware of, however: Even though this seems like a pretty good idea to me, the Starter Edition will only be on sale from today until June 19.